Alex is a partner at Young Moore and focuses his practice on business law, commercial real estate, and wealth preservation. Alex represents clients in a variety of transactional matters including entity selection and formation, mergers and acquisitions, reorganizations, shareholder agreements, employment agreements, corporate governance, finance, succession planning and other commercial contracts. Alex also represents business owners in connection with their commercial needs, including real estate acquisitions, finance, and leasing. Alex has represented both sellers and buyers in numerous business acquisitions and sales in a wide variety of industries. Alex serves as outside general counsel for clients, advising business owners on day-to-day operations, drafting and negotiating contracts, and advising on financial matters and transactions. Alex also has extensive experience advising closely-held business owners on all aspects of business succession planning. Alex’s transactional experience encompasses a broad range of industries with a concentration in the healthcare sector. A North Carolina State Bar Board Certified Specialist in Estate Planning and Probate, Alex also advises individuals on wealth preservation matters. He is skilled in structuring plans that help clients realize their goals for disposition of assets and that address the reduction of estate and gift taxes. 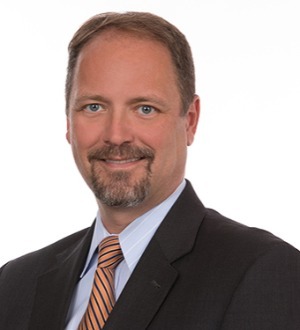 His experience includes working with corporate fiduciaries and other clients, in probate and fiduciary disputes and advising clients on a wide range of estate and trust administration issues. Served as the lead attorney on numerous asset, stock and merger acquisitions and divestitures, representing purchasers, sellers. Served as lead counsel to companies in many different industries, assisting the companies in choice of entity issues, capital raising transactions involving angel investors, joint venture relationships, board fiduciary duties, and general corporate and contractual matters. Served as lead attorney on several private offerings. Represents healthcare clients in a wide variety of transactions including the acquisition and sale of business interest, structuring joint ventures, as well as advising on a wide array of commercial contracts. Alex has experience in navigating federal and state regulatory matters when it comes to his healthcare clients. Represents business owners in all aspects of their commercial real estate needs, including the acquisition, finance and leasing of various types of real estate interests. Represents individual clients in estate planning strategies, including wealth transfer, trust strategies and business succession planning. Represents closely-held companies regarding business succession planning including family members and key employees. Represents business owners in drafting and negotiating shareholder agreements, partnership agreements, joint venture arrangements and employment contracts. University of North Carolina - Charlotte, B.A.